J. Press is one of the cornerstones of that Ivy League style, and they prove their merits on the back of this navy wool sack blazer. 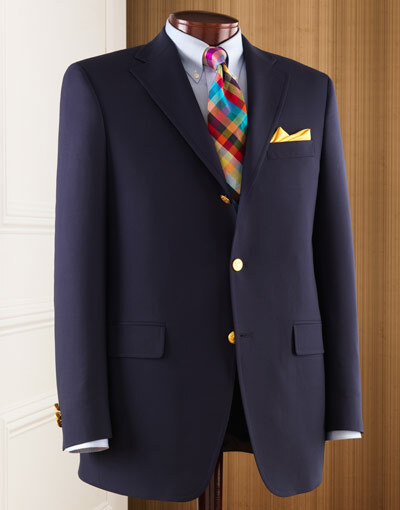 The Navy blazer is that men’s essential for all ages, so what makes this one so great? To start with, J. Press sticks with a classic 3/2 roll cut with mild darting to create a full, classic figure, while the unstructured nature of the sack blazer makes it a perfect choice for nearly all seasons. Available direct from J. Press online, but if you’re going to spring the cash, I recommend visiting the store in person to get the fit perfect. This entry was posted in News and tagged Ivy League. Bookmark the permalink.